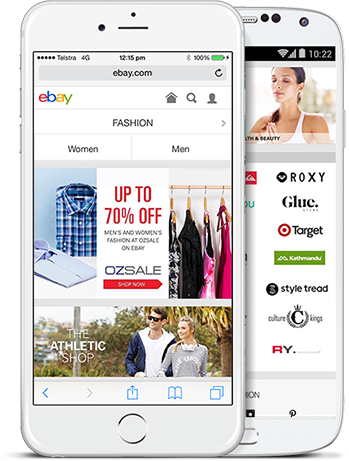 Reach millions of shoppers all over the world by selling on eBay. Whether you want to start with just a few listings or open an eBay store, accepting PayPal on eBay can help attract more buyers. Accept PayPal payments on eBay. PayPal is a safer payment method recommended by eBay. Eligible transactions made with PayPal are protected by PayPal Buyer Protection, encouraging buyers to buy from you over others. Plus, your customers will enjoy a faster, safer and easier checkout experience. You'll be protected too, with Seller Protection on eligible items. Start selling on eBay with PayPal. PayPal Seller Protection safeguards your eligible transactions against claims, chargebacks and reversals for unauthorised payments and claims that items were not received. eBay buyers like to know the total cost of an item before they buy, so it's best to complete your shipping options and costs on the listing form. Be competitive and offer free shipping if you can. Choose a payment solution to suit your business. Your PayPal account lets you accept multiple forms of payment. Whether you’re online or on the road, PayPal makes accepting payments easier for your business. PayPal is a great way to get paid online. Accept credit cards and PayPal payments more easily and more securely. Create and email a professional, customised invoice in minutes. Send reminders, and issue receipts and refunds. Accept payments around the world with our mobile-optimised solutions, on your mobile website, or through your Android and iOS apps. Whether you're a big business or a casual seller, eBay is a great way to reach customers around the world. Don't have a PayPal business account? Sign up today. Start accepting payments today. You can run a business under your company name or as an individual and your sales may be eligible for Seller Protection.